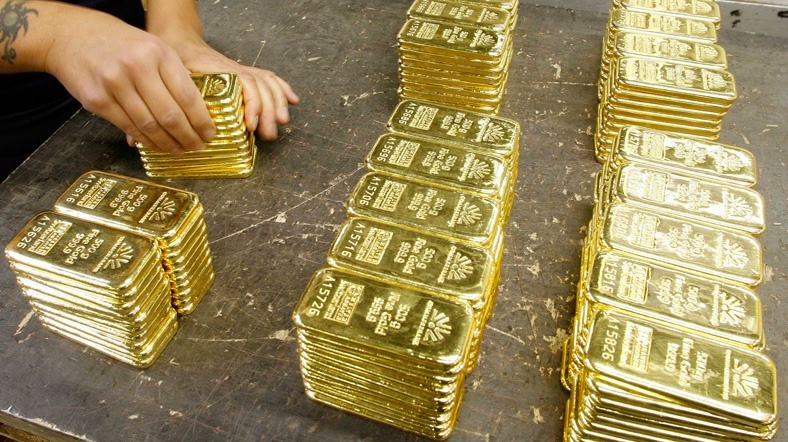 It has been revealed that a Turkish firm Sardes, as yet little known, helped Venezuela to move out almost 900 million dollars in form of gold, Bloomberg reported. The report of Bloomberg lays out the company’s trade with Venezuela had taken place in the first three quarters of last year till U.S. sanctions against Caracas were implemented. Sardes was founded in January 2018, two months after Venezuela’s President Nicolas Maduro paid a visit to Turkish President Recep Tayyip Erdogan, and undertook a $41 million worth of gold import from Venezuela in the same month. First of its kind in half a century, the size of the gold trade more than doubled next month with approximately $100 million worth of gold moved into Turkey by Sardes. President Donald Trump sent U.S. officials in November 2018, to Ankara and warned Turks about trade off before he introduced sanctions against Venezuela. Sardes, founded by only a million dollar humble budget, had already traded $900 million gold from Venezuela by then and it halted the operations after the sanctions were implemented. Even after the U.S. sanctions on Venezuelan gold came into effect, Turkey has sought to implement its own agenda regarding the gold trade between two countries, with Erdogan paying a visit to Caracas in last December along with a gold refinery owner Ahmet Ahlatci. After being introduced to Maduro by Erdogan in December 2018, Ahlatci, received a visit in January from Tareck El Aissami, Venezuelan Vice President in charge of country’s economic affairs. Aissami examined on site Ahtlatci’s gold refinery in the central Turkish city of Corum. However, the projections were not validated, partly due to Ahlatci’s drawback to avoid US scrutiny over violating the sanctions, Bloomberg reported quoting a source familiar with the incident. A senior figure of Ahlatci’s gold company attended to a meeting with Marshall Billingslea, U.S. assistant secretary for fighting terrorist financing at the Treasury Department, last week in Ankara where Billingslea has warned Turkish entrepreneur on Venezuela’s “blood gold”, Bloomberg’s source said. Turkey’s efforts to work around U.S. sanctions against Venezuela is not a first attempt as Ankara tested Washington’s leniency before and executed a similar shadowy trade with Iran through Iranian Turkish gold trader Reza Zarrab. Zarrab arrested in the U.S. in 2017 and pleaded guilty in a Manhattan court as he explicitly described a well-planned scheme and told how they circumvented U.S. sanctions. He asserted under oath that orders to conduct the scheme came from Turkish President Erdogan. Mehmet Hakan Atilla, the former vice chair at Turkish state-owned Halk Bank, was the only one convicted last year in a New York court on charges of evading US sanctions and sentenced to 32 months as Zarrab pleaded guilty. Atilla has been serving his term in a New York prison. Turkey dismissed the case considering it as based on fabricated evidence. Venezuela doesn’t rank among the top 20 trading partners for Turkey, according to data compiled by Bloomberg. And the trade between Turkey and the US definitely means more than that. “President Trump has expressed his interest in expanding the trade relationship between the United States and Turkey, an avenue considerably more profitable than anything Maduro might have to offer,” Bloomberg quoted White House National Security Council spokesman Garrett Marquis as saying.